In 1967, Aimé Sabon returned from his military service. He takes over the vineyards of his father (who brought his grapes in a cooperative winery) and his father-in-law (who sold the wine to the trade). In 1973, Aimé built his own cellar. 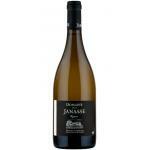 Thus was born the Domaine de la Janasse, from the name of the family farm that was located in Courthézon, at a place called "La Janasse". Aimé is ambitious. Aware of owning a fabulous terroir, he continues to expand the area by acquiring new plots. 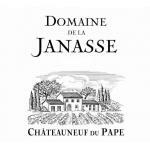 From 15 hectares yesterday, La Janasse now occupies 90 hectares. Because of its exploded structure (more than sixty parcels), the La Janasse estate extends over a mosaic of terroirs (see illustration). Careful study and research on soils, their exposure and microclimates has made it possible to ideally organize the vineyard. 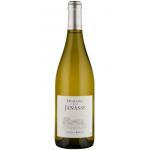 White grapes and Syrah are planted preferably on sand-limestone soils and exposed northeast, to preserve freshness, acidity and finesse.Mourvèdres planted on clay-limestone soils covered with rolled pebbles get a very good level of maturity. 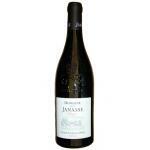 This dispersion of the terroirs brings a great complexity in the assemblies. 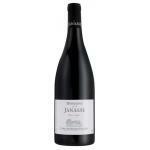 It also legitimizes the particular wines that are Chaupin, Garrigues, Terre d'Argile and Terre de Bussières. For example, we produce on Chaupin and Les Garrigues late terroirs, 100% Grenache cuvées, the main grape of the southern Côtes du Rhône. For us, Grenache only reaches its full balance on cold soils. On warmer soils, its generosity must be tempered by Mourvèdre and Syrah. 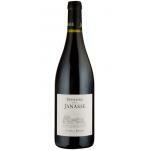 black pepper, blackberry, cherry, thyme, cassis, licorice and a heady combination. 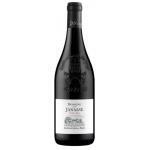 A mixture of Syrah, Grenache, and other varieties of Rhone.